സൂര്യൻ കഴിഞ്ഞാൽ ഭൂമിയോട് ഏറ്റവും അടുത്ത് സ്ഥിതിചെയ്യുന്നതും ദൃശ്യമായതുമായ നക്ഷത്രമാണ് ആൽഫാ സെന്റോറി അഥവാ റീഗൽ കെന്റ്. ↑ 1.0 1.1 1.2 1.3 1.4 1.5 1.6 Van Leeuwen, F. (2007). "Validation of the new Hipparcos reduction". Astronomy and Astrophysics. 474 (2): 653. arXiv:0708.1752. Bibcode:2007A&A...474..653V. doi:10.1051/0004-6361:20078357. ↑ 3.0 3.1 Torres, C. A. O.; Quast, G. R.; da Silva, L.; de la Reza, R.; Melo, C. H. F.; Sterzik, M. (2006). "Search for associations containing young stars (SACY)". Astronomy and Astrophysics. 460 (3): 695–708. arXiv:astro-ph/0609258. Bibcode:2006A&A...460..695T. doi:10.1051/0004-6361:20065602. ISSN 0004-6361. ↑ Valenti, Jeff A.; Fischer, Debra A. (2005). "Spectroscopic Properties of Cool Stars (SPOCS). I. 1040 F, G, and K Dwarfs from Keck, Lick, and AAT Planet Search Programs". The Astrophysical Journal Supplement Series. 159 (1): 141–166. Bibcode:2005ApJS..159..141V. doi:10.1086/430500. ISSN 0067-0049. ↑ Wilkinson, John (2012). "The Sun and Stars". New Eyes on the Sun. Astronomers' Universe. pp. 219–236. doi:10.1007/978-3-642-22839-1_10. ISBN 978-3-642-22838-4. ISSN 1614-659X. ↑ ഉദ്ധരിച്ചതിൽ പിഴവ്: അസാധുവായ <ref> ടാഗ്; Wiegert എന്ന അവലംബങ്ങൾക്ക് ടെക്സ്റ്റ് ഒന്നും കൊടുത്തിട്ടില്ല. ↑ 7.0 7.1 7.2 ഉദ്ധരിച്ചതിൽ പിഴവ്: അസാധുവായ <ref> ടാഗ്; Thevenin02 എന്ന അവലംബങ്ങൾക്ക് ടെക്സ്റ്റ് ഒന്നും കൊടുത്തിട്ടില്ല. ↑ 8.0 8.1 Kervella, P.; Thévenin, F.; Ségransan, D.; Berthomieu, G.; Lopez, B.; Morel, P.; Provost, J. (2003). 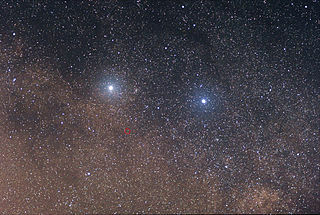 "The diameters of α Centauri A and B". Astronomy and Astrophysics. 404 (3): 1087–1097. arXiv:astro-ph/0303634. Bibcode:2003A&A...404.1087K. doi:10.1051/0004-6361:20030570. ISSN 0004-6361. ↑ Gilli G.; Israelian G.; Ecuvillon A.; Santos NC. ; Mayor M. (2006). "Abundances of Refractory Elements in the Atmospheres of Stars with Extrasolar Planets". Astronomy and Astrophysics. 449 (2): 723–36. arXiv:astro-ph/0512219. Bibcode:2006A&A...449..723G. doi:10.1051/0004-6361:20053850. libcode 2005astro.ph.12219G. ഈ താൾ അവസാനം തിരുത്തപ്പെട്ടത്: 13:51, 19 ഓഗസ്റ്റ് 2016.